The menu itself has also taken on a new format recently, moving from starters and entrees to the ever-popular delineations of small versus large plates for purposes of sharing with everyone at the table. As always, all dishes rotate seasonally, so you know there’s always something fresh, whether from the farm or the sea. The menu is nice and trim yet hits all the bases you might want from a seafood restaurant. 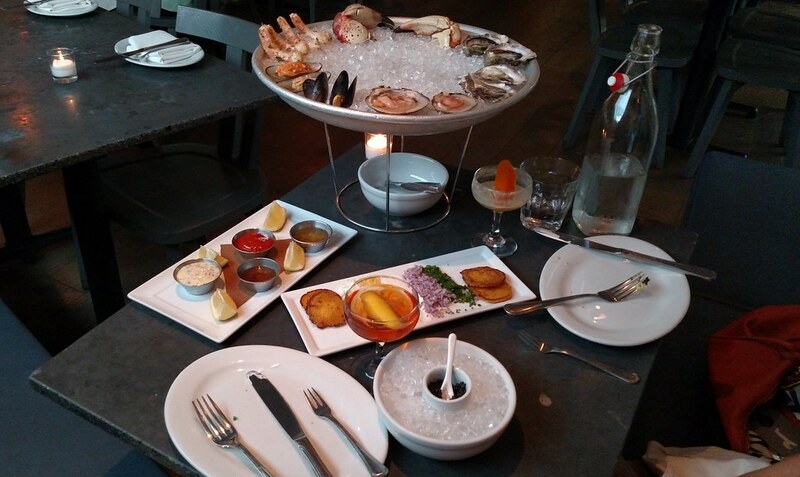 But it’s hard to imagine a meal at Hungry Cat not starting without a seafood platter of your choosing. 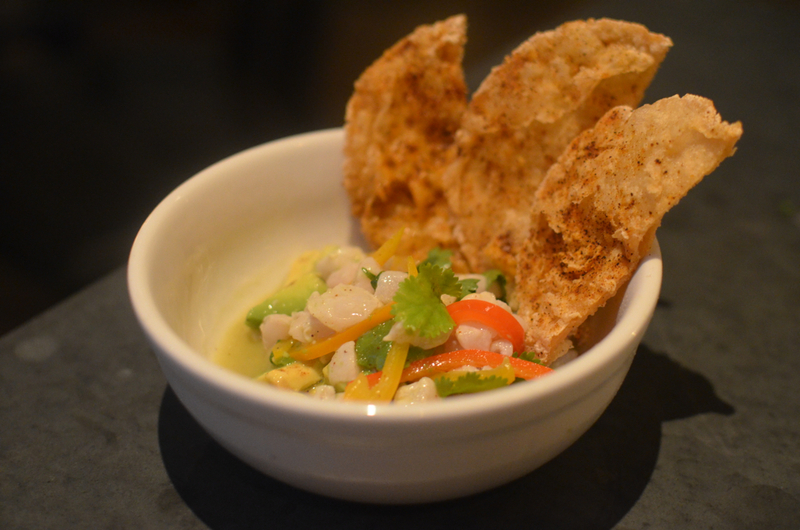 A couple small plates will also get your meal going, like the ever capable Rock Cod Ceviche with avocado, tangerine, fresno chili, and fried masa. 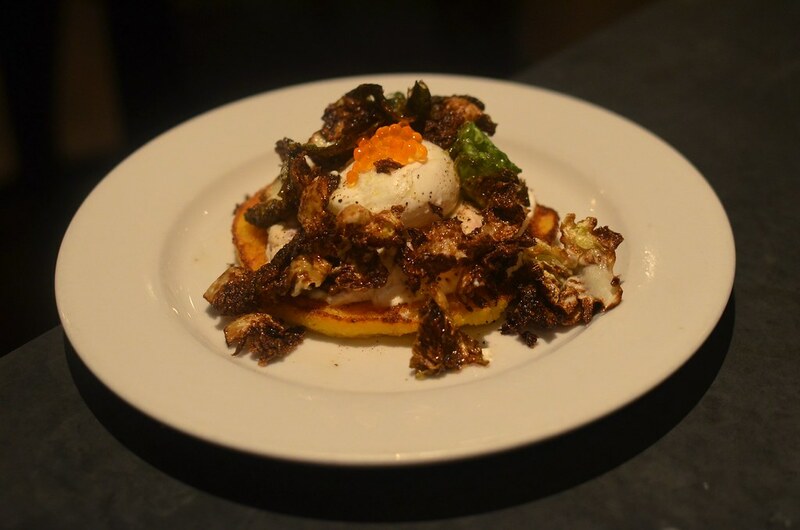 The Johnny Cake was also superb, made with smoked trout and topped with fried Brussels leaves, a poached egg and trout roe. And as for when you get into it with the large plates, you’ll notice the lot of them being described as “grilled,” but these dishes are always dressed up with tasty accompaniments for complete expressions of a dish. 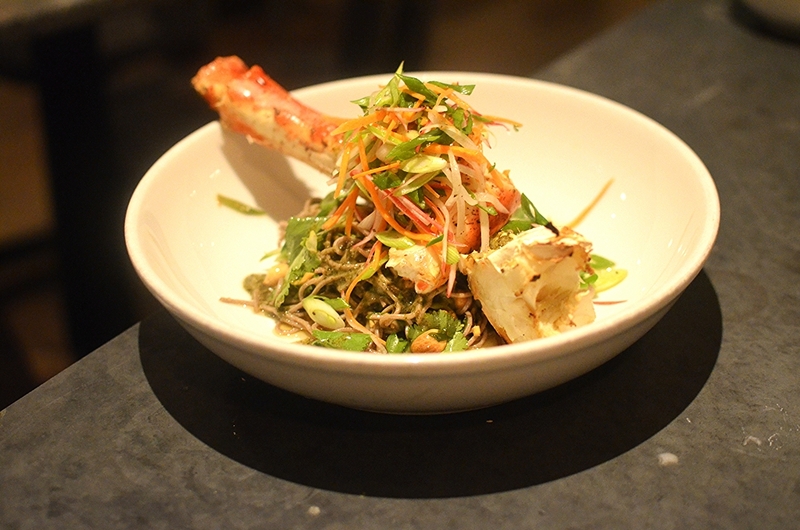 The Grilled King Crab with buckwheat noodles was pretty fantastic. The smoky, woodsy flavor from the wood-fired grill worked well with the nori butter and wasn’t overpowering. The ginger and scallion on warm soba were welcome, refreshing notes to the savory butter and smoky crab – an excellent but unusual combination of ingredients. 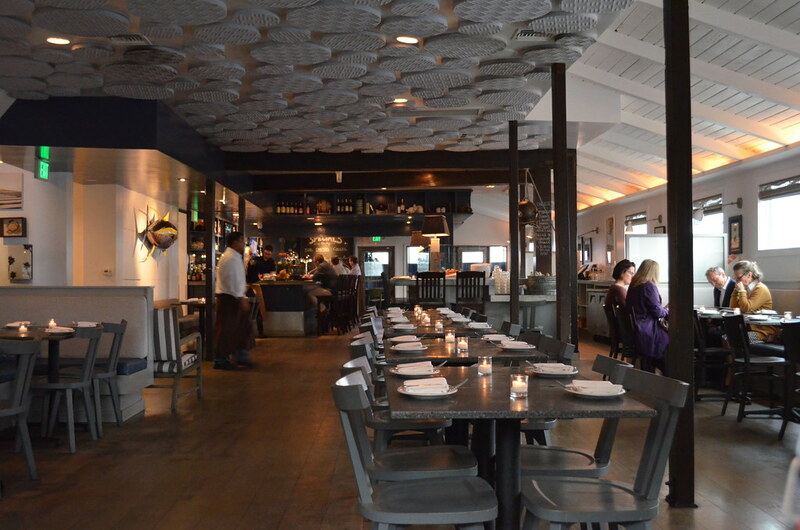 This entry was posted in Food, L.A., Santa Monica and tagged anniversary, Channel Islands, chef, David Lentz, Food, Kris Longley, PCH, rotisserie, Santa Monica, seafood, wood-fired oven. Bookmark the permalink.